Swallows Nest Barn ARE YOU A SUPPLIER? There is hardly a more enchantingly romantic venue in Warwickshire than the Swallows Nest Barn. 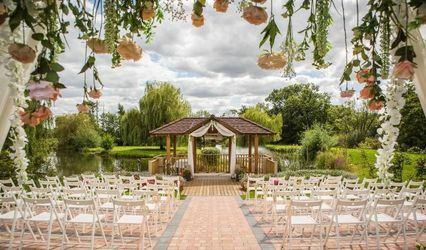 Deep in the countryside and on the cusp of the Cotswolds, this genuine emblem of rural life has been painstakingly restored by the family who passionately manage beautiful weddings here with an attention to detail that has become legendary. Swallows Nest Barn is exclusively yours on the day of your wedding. In its splendid isolation, you not only have the spectacular sight of the lush countryside, but the full use of spaces that tastefully combine the rustic with the glamourous. 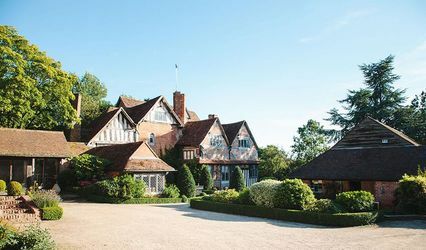 Boasting seasoned wooden beamed ceilings and original brickwork, this venue is ideal for civil ceremonies and wedding breakfasts for up to 120 guests. 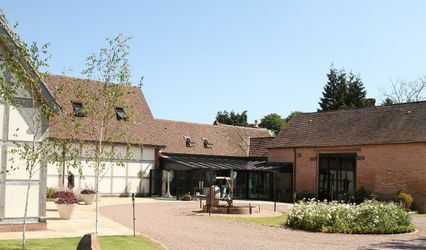 The glass panelled barn or courtyard can be used for post-ceremony drinks and canapés. The wedding breakfast is then served in the main barn. With their bridal dressing room and en suite, this is an ideal venue in which to spend the entirety of your day from preparation to late night entertaining. The famed Chopping Block is the wedding catering company used by Swallows Nest Barn. They believe in providing the highest quality of locally sourced produce and wonderful service. With a fully licenced bar, your food and beverage requirements will be more than satisfied. Swallows Nest Barn truly gives you a feast for all of the senses.